Northwest Seaplanes offers summer scheduled flights and charter flights from Seattle to and from Refuge Cove Marina, BC. Refuge Cove is known for it’s rustic charm and protected beauty. 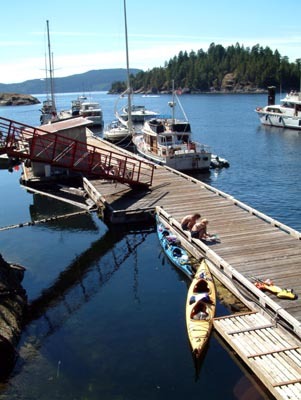 Refuge Cove Marina is in the heart of the Desolation Sound area. They operate a general Store and liquor Store along with moorage and fuel services. The seaplane dock is located at the very west end of the main dock. Please call for information regarding our scheduled or charter flights or inquire about a flight via our website for Seattle Refuge Cove BC flights.